Those who know me, know not to dare me to do something – because I’ll do pretty much anything. I have fond memories of proving my husband wrong when he told me I wouldn’t be able to eat five pieces of the hottest-sauced chicken – aptly named Braveheart – at the local wing joint. My daughter, even as early a three years old, is showing clear signs of inheriting the daredevil gene. Dave Daring also inherited that gene too but instead of using it to scarf down atomic chicken wings, he’s using it to help teach your little one over 250 words. 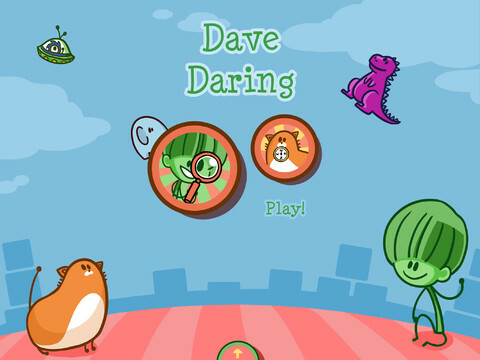 The app features several scenes straight from Dave’s daring adventures, and players try to find a group of items in the chaos. 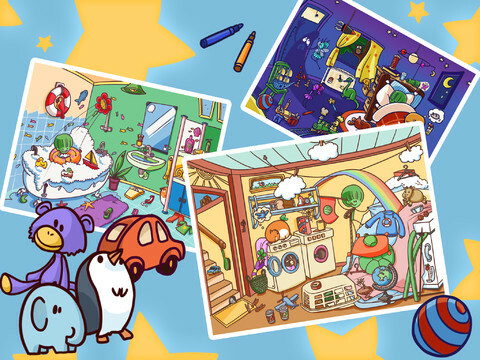 Find the cat in each scene and a group of mazes are unlocked for more fun. From climbing a mountain (of clothes) to sleeping in the dark for the first time, Dave gets daring in all sorts of everyday situations that your child will relate to. 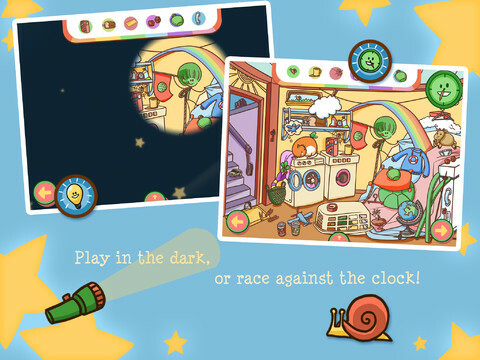 If your little one is daring enough there’s the timer to play against or even “play in the dark” mode that blacks out the screen with the only light being a flashlight. My daughter is the perfect audience for this fun app, and I didn’t even have to dare her to play. She easily jumped right in and went to searching. It was just challenging enough for her to stay interested but not so hard that she gave up. The mazes were a lot of fun for her; she giggled while trying to tilt the iPad the right way to get the cat through the winding paths. Her 5-year-old brother thought playing in the dark was more his speed. The graphics are adorable and keep kids engaged and the sound effects are bouncy and cute; the download price of $2.99 is fair for the content in the app. Along with the object identification skills and hand-eye coordination being supported, we think Dave Daring has the winning combination to be called an All Star.